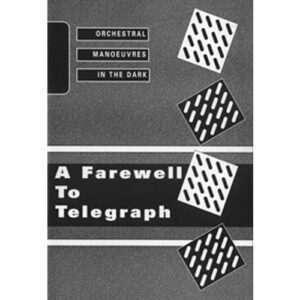 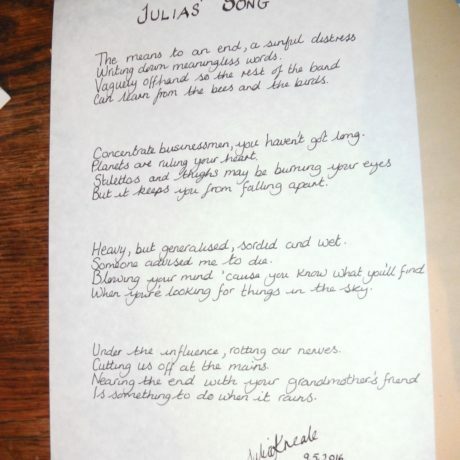 ‘Julia’s Song’ has remained one of the classic OMD songs whose history dates back to pre-OMD outfit The Id. 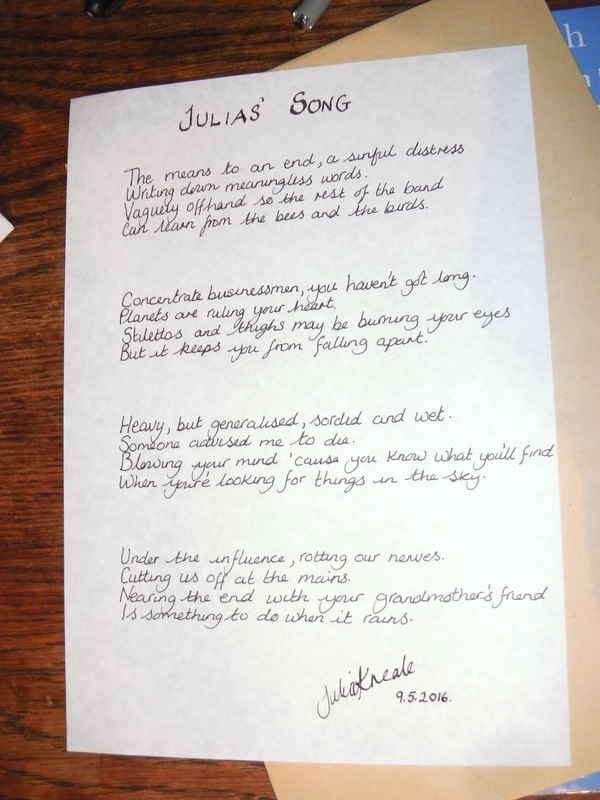 The evocative lyrics were penned by Julia Kneale, part of The Id’s initial line-up. 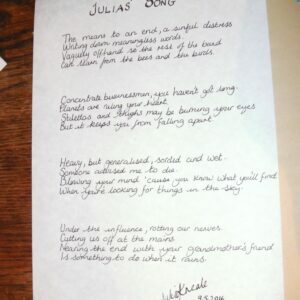 Now you have the opportunity to own a handwritten version of the lyrics. 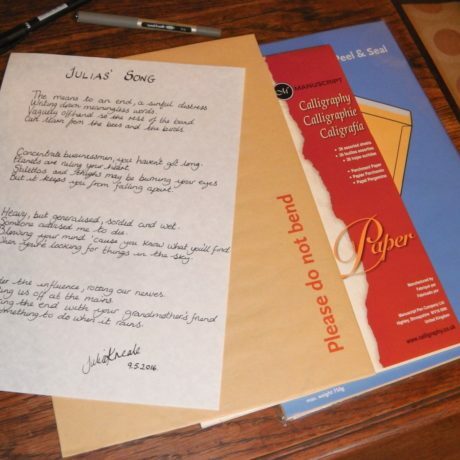 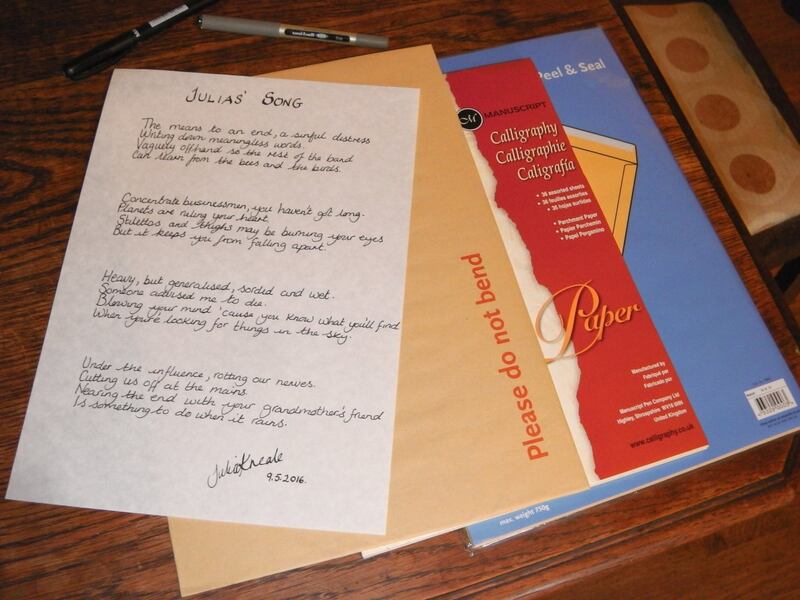 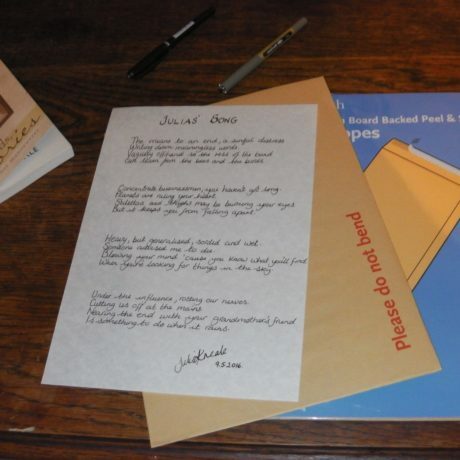 Each one has been handwritten, signed and dated by Julia Kneale herself on A4 parchment paper. 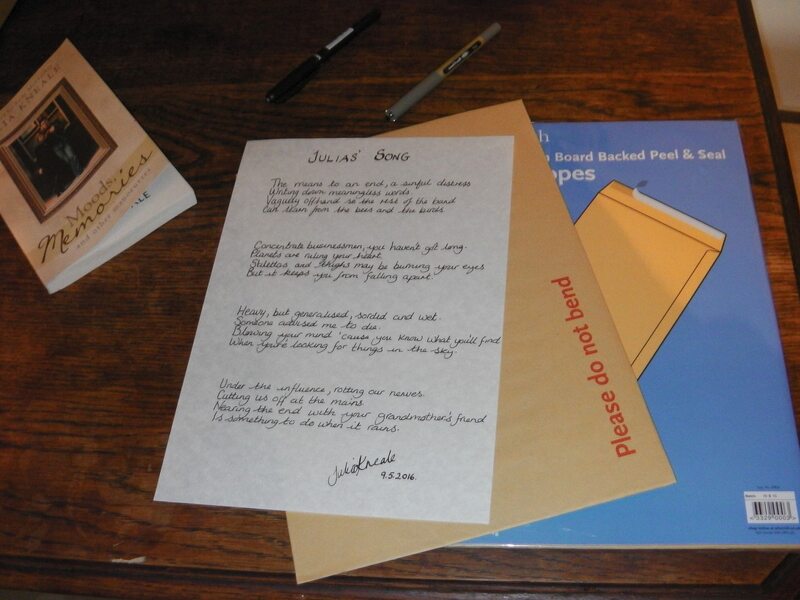 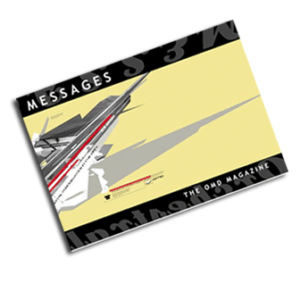 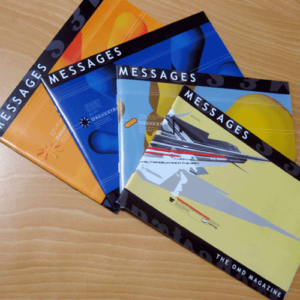 Each copy will be posted out securely in board-backed envelopes.